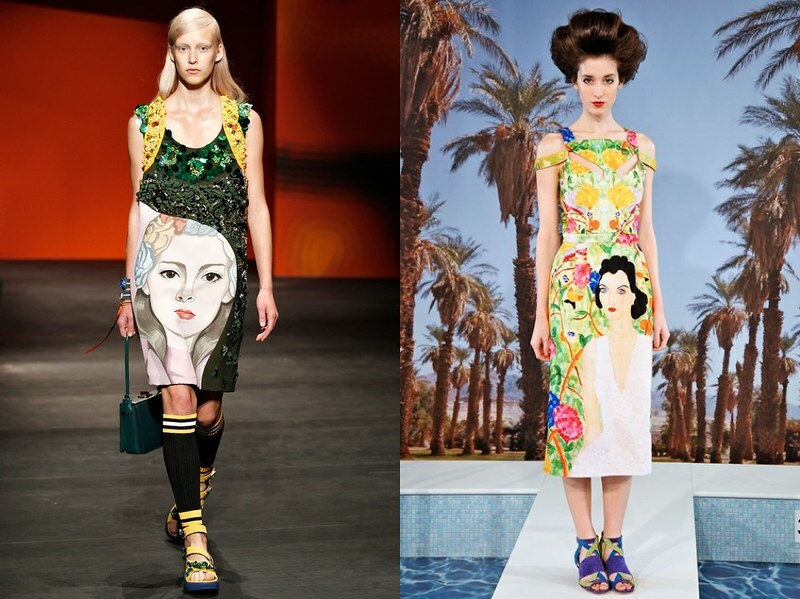 Some more shared inspiration from the spring runways, this time via Prada and Tata Naka. 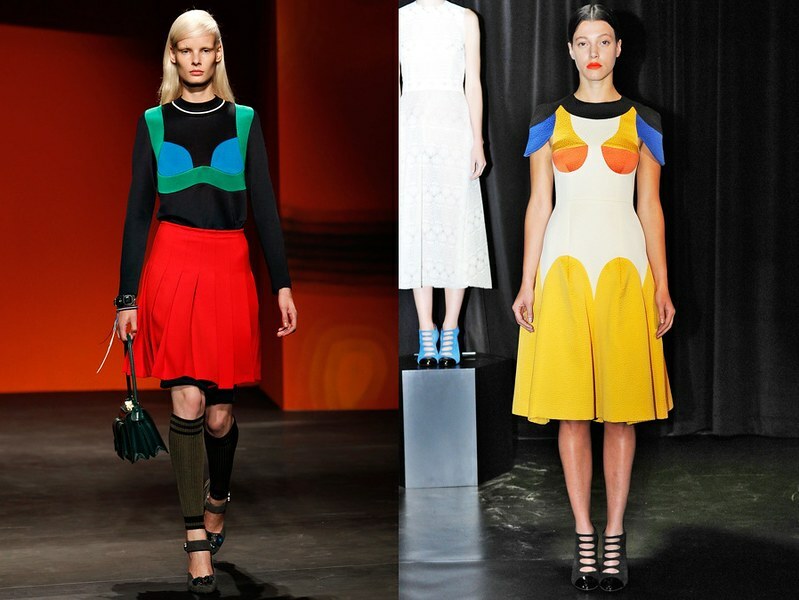 I cannot even put into words how awesome Prada's spring show was, but if the silhouetted bra top colorblocking and face prints looked familiar, it's probably because you also saw them at Tata Naka. Prada's spring show was actually somewhat of an amalgamation of Tata Naka Spring 2013 and 2014 - plus crystals, plus athletic socks, plus the most awesome furs you've ever seen in your life. I want it all.